Bangkok, 12 October, 2015 – Preparation for a nationwide cultural phenomenon in the ninth lunar month in the Chinese calendar is now underway. 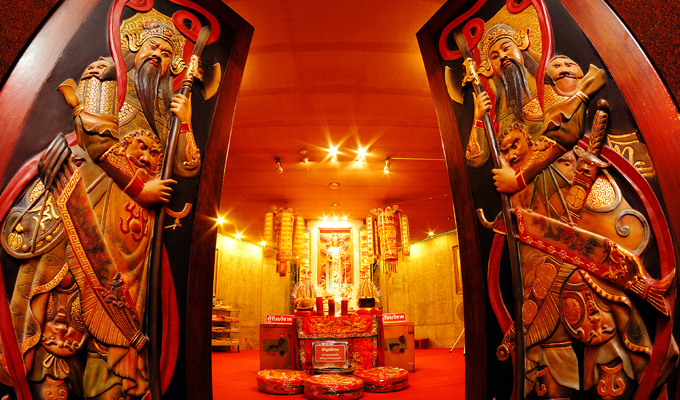 Thailand – home to the largest overseas Chinese community in the world – plans to celebrate the Vegetarian Festival with specially prepared delicacies, grand processions of Chinese deities, and spectacular displays of spiritual beliefs, from 13-21 October, 2015, nationwide. The Vegetarian Festival in Thailand is widely celebrated throughout the country, especially among the nine million Thai-Chinese population, who strictly observe a vegetarian or vegan diet for nine days and nights for the purposes of spiritual cleansing, merit-making, conferring good luck, and ensuring prosperity and long life. From Bangkok’s Chinatown to historic seaports on the Gulf of Thailand, and tranquil heaven-on-earth hideaways to bustling resort towns, Thailand and its Thai-Chinese population unite to welcome both local residents and cultural visitors in energetic celebrations of the Vegetarian Festival – shaped by multiple cultural references including Chinese Taoism and Mahayana Buddhism. Recognising the importance of cultural diversity in Thai society, and commemorating the auspicious occasion of the 40th anniversary of Thai-Sino relations, the Tourism Authority of Thailand (TAT) is committed to showcasing the Vegetarian Festival as one of the key highlight activities targeting international communities around the world. Highlights also include the Yaowarat Vegetarian Festival, where yellow flags fly along a stretch of road in Bangkok’s Chinatown, and fine celebrations are held on a grand scale. In Samut Sakhon, merit-making at nine revered shrines and scrumptious delicacies are at the heart of the festival. 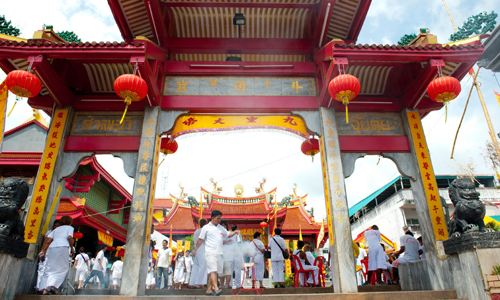 In Southern Thailand, the development of the Vegetarian Festival is driven predominantly by Chinese Hokkien influences. Considered the epicentre of the Vegetarian Festival in Thailand, the festivities in Phuket include the celebration of the Nine Emperor Gods, and a procession of awe-inspiring religious rituals; such as, walking on fire and impaling of body parts in a carnival-like atmosphere. 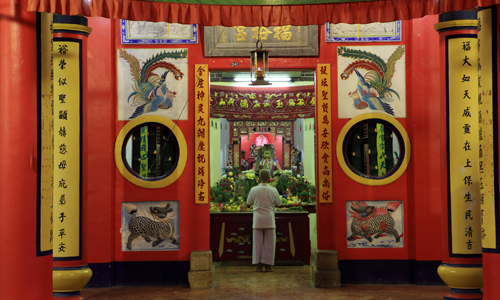 In Krabi, the celebrations showcase a dynamic display of strong spiritual beliefs among Thai-Chinese with more than 40 Chinese shrines joining forces in a grand procession. This year, visitors will also be able to experience the celebrations distinguished by unique charms and characteristics in major cities including Pattaya, Ranong, Trang, Phang Nga, and Hat Yai, as well as other cities throughout Thailand. For more details of the celebrations, please visit: Thailand Vegetarian Festival 2015.